These Mushrooms are all hand sculpted and not one mushroom is the same. Each spot is individually hand rolled and placed onto the mushroom to make it unique and magical. The mushrooms are made of Polymer Clay and are weather protected but recommend to use in under cover areas. 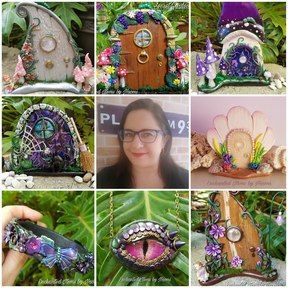 Please note the pictured Fairy Door is not included in this Mushroom Set, example only.